Visual tool to plan optimum XServeRAID configuration. Is there a better alternative to RAIDaid? Is RAIDaid really the best app in System category? Will RAIDaid work good on macOS 10.13.4? 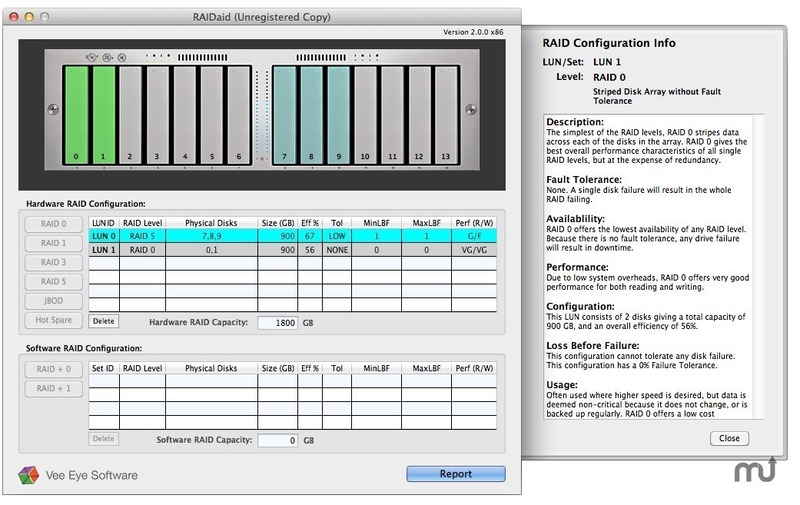 RAIDaid is a visual tool that helps you plan the optimum RAID configuration for your XServeRAID system. It has an easy to use interface that allows you to view disk arrays in all popular RAID formats. You can now plan your RAID setup and configuration even if you don't have a RAID! RAIDaid now allows you to create reports and customize them for your clients, making RAIDaid an ideal tool for all systems architects and sales professionals. RAIDaid needs a review. Be the first to review this app and get the discussion started! RAIDaid needs a rating. Be the first to rate this app and get the discussion started!